The blog post was created after addressing this interesting requirement that @edwar.lara had. 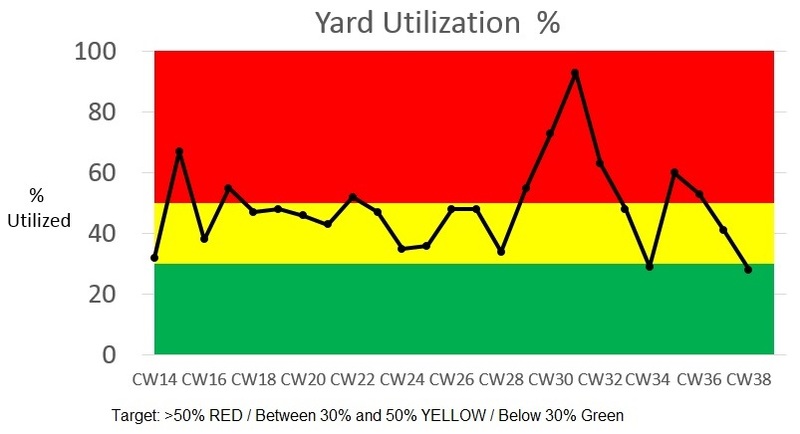 Instead of creating an Alerter in Chart, in the usual way of coloring the Bars/Columns/Lines with different colors depending on a Target value, he wanted to color the background of Chart itself, as below. Simple idea or workaround, is to leave the Chart alone and create a Vertical table with 3 rows, format the background color (of those 3 rows), and place it behind (in the background) of the Chart. I used sample/dummy data to recreate this scenario and the solution. 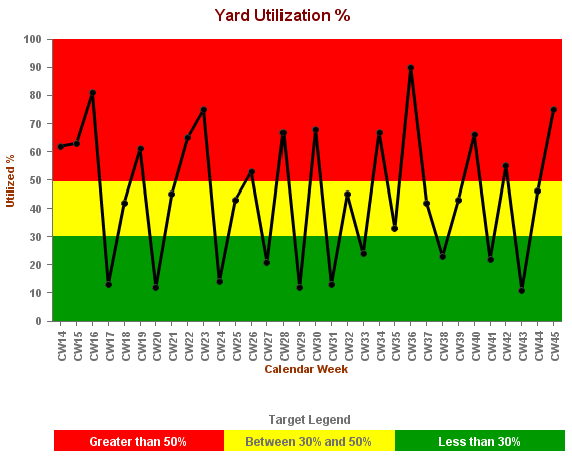 Simple way to understand the data is that, the more the usage of yard, the negative is the impact. Similar to Processor/RAM usage in a computer, we want them to be as low as possible. For Width – we’ll have to look at the width of the Chart itself and set the width as whatever value, say 10cms, and update it later while setting relative position of the table. This is the result of that workaround. Hope you enjoyed it, and will try it. Comments and/or feedback is appreciated. Would you like to get this as a feature in Webi, so that we don’t have to do this tedious workaround? If yes, please vote up on this idea I created on Idea Place.